Should You Pay Down Debt Or Invest In RRSP? 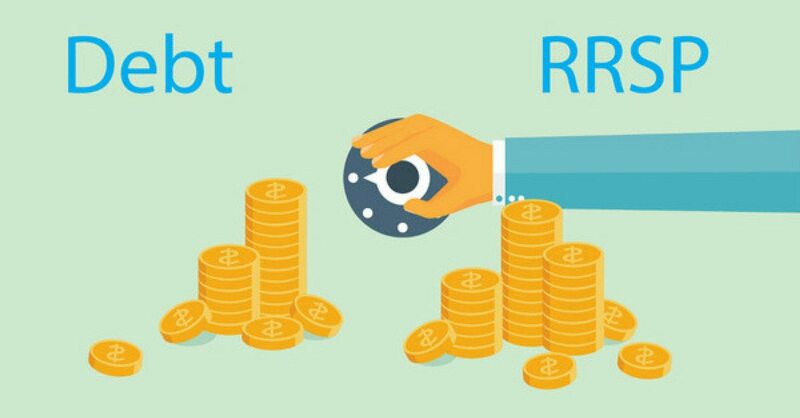 Home » Blog » Should You Pay Down Debt Or Invest In RRSP? On today’s show I talk with Vikram Barhat, a financial writer based in Toronto whose work has appeared on the BBC, Morningstar Canada and The Globe and Mail. He writes about investing, personal finance, wealth management and real estate. Vikram answers the question, should we pay down our debt or invest in an RRSP? On our Let’s Get Started Segment of the show, Ted Michalos, co-founder of Hoyes, Michalos & Associates Inc. joins me and tells us why it’s important to pay off consumer debt first. However, the tax burden is deferred in that you pay tax on the amounts withdrawn from an RRSP when it is actually withdrawn. You have a benefit in the short-term by reducing your taxes and using the excess funds toward other financial goals. The long-term benefit for most people is that they will have a lower tax rate when the funds are withdrawn in retirement years. according to the latest Statistics Canada report, Canadian household debt, which includes mortgages, loans and credit cards to disposable income was a record 163.3 percent in the last quarter of 2014. This means that if I make $10,000 a year, my debt is around $16,000 and that the average Canadian’s disposable income is not increasing as much as their debt load. Vikram cautions that this income to debt ratio will only get worse before it gets better and that today, Canadian’s debt load is at a historical high. So how do we decide where our money should go? Is it better to save for the future or to pay down debt that we already have? Paying off debt (such as a mortgage) faster, reduces the amount of interest you will pay. The current low interest rate environment is a guaranteed return versus the uncertain rate of return from an RRSP. There are many psychological benefits to paying down debt, including reduced financial stress in retirement. When it comes to deciding whether to invest or pay down debt, there is no “one size fits all” answer. Factors such as age, salary, job security and the amount of debt you’re carrying all affect the decision making process. For example, Vikram points out that younger individuals may be wiser to pay down their debts rather than invest in an RRSP. That way, they’ll save on interest and still have plenty of time to invest for retirement in the future (especially if they do not have job security). …most Canadians are not contributing the maximum amount…so what happens, you don’t have a large amount in your RRSP when you retire anyway, and so when you convert that RRSP into an RRIF and you get the monthly payment, what it does is it reduces the money you’re receiving from the government pensions. When there isn’t enough money in an RRSP to make a significant difference, it decreases the amount that you’re entitled to from the government. Ted points out that instead of getting an OAS cheque, these individuals get less of it or nothing at all. Ted’s answer is that if you run the numbers and find that you won’t be able to contribute enough to your RRSP by retirement, it’s time to pay down consumer debt starting with the highest interest debts first. And if you have so much debt that it is preventing you from saving for your retirement, consider talking with Licensed Insolvency Trustee about debt relief options. Full transcript for today’s podcast available below. So, let’s say you just got an unexpected thousand dollar bonus at work. What should you do with the money? Is it better to pay off your debt or invest in an RRSP? How do you make that decision? Is it as simple as looking at interest rates and your tax rates, or is there more to it than that? To find out, I’ve invited an expert on the show to discuss it, so let’s get started. Who are you and what do you do? Vikram Barhat: Hi, My name is Vikram Barhat, and I’m a Toronto-based financial freelance financial writer. I write about investing, personal finance, wealth management, real estate and other business and finance issues. I worked in various editorial capacities in three different parts of the world, and I currently write for the BBC, Morningstar Canada, The Globe and Mail, and a few other publications across Canada. Doug Hoyes: Great, well, thanks for being with me today, Vikram. So this show is called Debt Free in 30, so to start, give us an idea of how much debt we’re talking about. What level of debt are Canadians carrying today? Vikram Barhat: The word that comes to mind, straight off the bat is alarming. Vikram Barhat: [Laughs]. According to the latest Statistics Canada report, Canadian household debt, which includes mortgages, loans and credit cards, to disposable income was a record 163.3 percent in the last quarter of 2014. Now, to put this in perspective, it’s the same as the US in 2007 just before the financial crisis. Thanks to the massive deleveraging though, it stands at a much lower level in the States, perhaps 140 or lower, which is pretty much the same direction that Canadians seem to be headed. But all indications show that the debt to income ratio in Canada will likely get worse before it gets better. And one of the key reasons that’s come up in recent discussions around the subject is the fact that Canadians’ disposable income isn’t going at the same pace as the debt load. Doug Hoyes: And obviously that’s a problem going forward for us, so let’s just emphasize what you just said there. So current debt loads are in the 160/165 percent of disposable income range. So that means if I make $10,000 a year my debt is around $16,000. Doug Hoyes: That’s what you’re saying. Vikram Barhat: It’s such a [unintelligible 00:03:17]. Doug Hoyes: Yeah, it’s ridiculous. So, okay, I had to go get a mortgage of 5- or 600,000. Well, if I make $100,000 a year that means I’m carrying 500 percent of my debt. My debt is 500 percent, five times my disposable income. That doesn’t seem like such a big number. But I guess the point you’re making is historically that is, number one, about as high as it’s ever been in Canada, and number two, as high as it was just before the US had their credit crisis in 2008. That’s what you’re saying. Vikram Barhat: That’s right, that’s correct. That’s sort of a good benchmark to have just to get a sense of how alarming the situation is in Canada in this point in time. Doug Hoyes: So it’s something we should be concerned about even if the number maybe doesn’t seem that big. It’s as big as it’s ever been, and historically it’s caused serious problems. Okay, so we’ve got a lot of debt, I understand that. So as a Canadian, then, I’ve got two kind of competing objectives. I know that pensions keep getting eroded and may not be there by the time I want to retire so I need to save for my retirement, but, as you just said, Canadians are carrying a huge amount of debt and a lot of that debt is mortgage debt. So how do I decide if I use my extra funds, this thousand dollar bonus I just got, how do I decide if I use that to pay off debt or to save for retirement? What’s your thought process on that? Vikram Barhat: Well, first of all, congratulations if you have extra funds. Vikram Barhat: [Laughs]. But seriously, though, having to choose between saving for retirement and paying down mortgage debt does seem like fighting a losing battle, because the vast majority of the Canadians are only able to afford one or the other. The general consensus amongst financial experts seems to be in favour of paying down debt given the levels of debt that we are facing right now. And there are three key arguments to support that view. Number one, the faster you pay off your mortgage, the less total mortgage interest you have to pay. Also, you reduce the amount of your mortgage that you may need to be renewed at a higher rate down the road. Number two is in the current low interest rate environment paying down a mortgage is almost as good as a guaranteed return, while investing in RRSPs is not. And number three is that, more importantly, it’s more of a psychological benefit of being mortgage-free sooner, because being debt free is the ultimate freedom and it significantly reduces the financial stress of retiring. A decline in income after retirement does not really sit well with the requirement to continue large monthly mortgage payments. Doug Hoyes: So those are three different arguments to pay down your mortgage as opposed to investing. So number two on your list is risk. If I’ve got a mortgage at five percent and I pay it down I automatically just made it five percent. Doug Hoyes: And I don’t have to worry about what my returns are going to be – you’re saying that if I pay down my RRS – or, sorry, if I invest in an RRSP I don’t know exactly what I’m going to earn. Doug Hoyes: Unless I’m putting it in a GIC with a guaranteed return, and if I do what are GIC rates now? Close to zero, right? Vikram Barhat: In some cases you have negative returns on them. Doug Hoyes: Yeah, and you’re saying negative returns because of inflation? Vikram Barhat: Inflation, that’s correct. When you adjust it against inflation you’re actually making less than you’re investing. Doug Hoyes: Because if the inflation rate is 2 percent and I’m only earning 1 percent interest then I’m really losing 1 percent in real terms. Doug Hoyes: – an even better thing. Now you said the psychological benefit was number three on the list, so explain what you mean by that. What do you mean the psychological benefit of paying it down? Vikram Barhat: I think debt of any type, shape or form weighs heavily on your mind. It’s something that interferes with your day-to-day functioning, with your future planning, with your current spending, and it has far reaching consequences. So I think mentally it’s very important for people to be debt free as soon as possible, and particularly when you’re in retirement that’s the last thing that you want to worry about, because you have declining income, you’re making many lifestyle adjustments as it is. The last thing you want to do is just carry the debt burden and not knowing how to pay debt, or if you pay that debt, how to have enough money for your day-to-day expenses. Doug Hoyes: – you want to have your expenses lower in retirement, too. Doug Hoyes: So that’s not just a psychological reason, that’s obviously a very tangible reason, then, too, right? To make sure you pay down that debt. Vikram Barhat: Oh, yeah. It stands to logic and reason, and obviously it’s a well thought out decision, which stands to reason and logic, really. Doug Hoyes: Cool. But what I’d like to do is take a quick break and I got a few more questions related to this. Like what about taxes when I start paying down mortgages or investing in RRSPs? Isn’t it better to be putting money in an RRSP because of the tax implications, and so on and so forth? So I’d like to talk about that if you can stick around. Let’s take a quick break and we’ll be right back here on Debt Free in 30. Doug Hoyes: We’re back on Debt Free in 30, and we’re talking about the decision to invest or pay down debt. So if I happen to get a Christmas bonus, a summertime bonus, if I’ve saved some extra money, what should I do with it? Should I pay down my mortgage or should I invest it in my RRSP? So before the break my guest, Vikram Barhat – did I get your name close to correct, there, Vikram? Doug Hoyes: Spot on, that’s very good. Vikram Barhat: [Laughs]. Good job. Doug Hoyes: So, before the break you said here are some reasons why it’s better to pay down debt, including reducing your risk, reducing your stress, obviously there’s some financial reasons as well. Well, argue the other side of the equation for me, though. Are there reasons why it would be better to be putting money into an RRSP as opposed to paying down debt? Vikram Barhat: Yes. And when you talk about tax implications, which is one of the factors that you have to consider when deciding between one or the other – and before I talk about tax implications I just want to take a minute to clear some confusion that seems to persist about the tax treatment when it comes to RRSPs. An RRSP isn’t a tax deduction plan but really is a tax defer program. RRSPs work like this. The government allows you to contribute up to 18 percent of your earned income from the previous year to an RRSP. You are also allowed to deduct that amount from your income. That means, depending on your income, you may get a tax refund after you’ve filed your tax return and [unintelligible 00:11:13]. Now, you won’t have to pay any tax on the capital gains dividends or interest these investments earn until you make withdrawals from the account. By then, hopefully, you’ll have retired and most likely will be in a lower tax bracket. Now, for people in a lower marginal tax bracket, making an RRSP contribution offers much less bang for their buck. If they also withdraw from it when their tax bracket is higher it makes it even worse. Investing in an RRSP makes sense if the person is in a higher marginal tax bracket, when they make the contribution and therefore get a significant refund, and a low marginal tax bracket when they withdraw from their RRSP investment. Doug Hoyes: So I think the key word you said there was the word deferral. So with an RRSP what I’m doing is deferring tax; I’m not necessarily eliminating tax. Which you’re right, I think that is a common misconception. “Well, I put the money in the RRSP I get a tax break, great”. But there’s two sides to that, obviously. Number one, I put the money in and what matters is what is my marginal tax rate. And when you say marginal tax rate you mean the tax rate I pay on the last dollar I earn, which is the dollar I’m saving by putting it in the RRSP. So if my marginal tax rate is 40 percent then putting a thousand bucks in an RRSP is going to save me 400 bucks in tax. That sounds pretty cool. But the second part that you just said is what also matters is what’s your tax rate going to be when you retire. Doug Hoyes: And you assume your tax rate’s going to be lower, but if your tax rate, for whatever reason, ends up being higher then it wasn’t such a great idea. Obviously you had the deferral and you were earning the income during the period when you weren’t retired that you weren’t paying taxes on, but then you end up paying it. So the key point you said, then, it’s a deferral mechanism if your marginal tax rate is low right now then an RRSP has less benefit to you. That’s what you said, right? Doug Hoyes: And in that case, then, you’d be leaning more towards the paying down debt? Doug Hoyes: And is there anything else about taxes we need to talk about with RRSPs? It’s a deferral and it’s based on your marginal tax rates – that’s your key point there, I guess, is it? Vikram Barhat: Yeah, that about sums up the tax aspect of it, yes. Doug Hoyes: Now, I guess the other factor if I want to contribute to an RRSP is I have to have RRSP contribution room. So you already quoted how it works – it’s 18 percent of my income from last year is what I’ll be able to contribute this year. Doug Hoyes: And that carries forward indefinitely, does it? Vikram Barhat: It does yeah. Doug Hoyes: So do most Canadians have lots of unused contribution room, or has everyone already maxed out their RRSP? Vikram Barhat: [Laughs]. In an ideal world, yes, but we don’t live in an ideal world, so unfortunately because most Canadians are struggling to save enough to fund their RRSPs we have a large – I mean, it’s really no secret that Canadians aren’t exactly contributing to their RRSP with a vengeance. And the reasons are obviously very clear; there’s just not enough money left over after paying all your bills and taking care of your debt obligations and stuff like that. So currently we have about $800 billion in unused RRSP contributions, according to Statistics Canada, and what’s worse is that it’s expected to jump to $1 trillion by 2018. And this ties into my previous comment about the situation getting worse before it gets better. As long as we have these high debt level situations that we’re dealing with, unless that improves people will just not find enough money to spare to invest in their RRSPs. Doug Hoyes: Wow, so $800 billion, that’s with a ‘B’, 800 billion. Vikram Barhat: That’s what it is now. Doug Hoyes: That’s what it is now, and it just keeps going up each year. Vikram Barhat: Yes, it’s going to be $1 trillion by 2018. 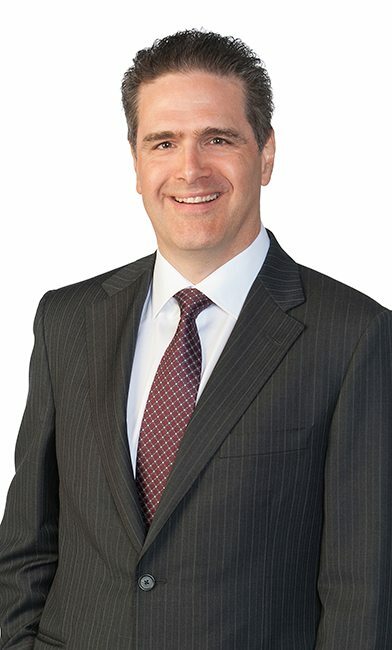 Doug Hoyes: Wow, so people have in general lots of room to contribute to their RRSP but what you’re seeing is, yeah, but I got a lot of debt and as a result that becomes the priority, I don’t have any extra money to be putting into an RRSP. Is that the explanation for why there’s so much unused RRSP contribution room? Vikram Barhat: Oh, yeah, absolutely, no two ways about it. That’s one of the major reasons for the lack of uptake in RRSPs at this point. Doug Hoyes: So back to our question about when I’m trying to make this decision, should I pay down my debt or should I contribute to my RRSP, does age have anything to do with it? So would the answer be different if you were young as compared to if you were older? Vikram Barhat: Great question, Doug. Absolutely yes. For people near retirement, especially in the top tax bracket, it makes more sense to maximize their RRSP contributions. The tax refund is more compelling if you’re in the top tax bracket. But for younger people paying down debt is certainly a winner. Doug Hoyes: And the reason it’s a winner paying down debt if you’re a younger person is time? You’re saving that much more in interest? Is that really the biggest factor there? Vikram Barhat: That’s right. You’re saving that much more interest and you have plenty of time to start saving for retirement just because of the window of time you have ahead of you. Doug Hoyes: So in general if you’re younger the paying down debt is where you’d start, then. So I guess when I’m younger I’m also just starting out in my career, my new job – does that have anything to do with it? Would your answer be different for somebody who is in a more risky job environment where you could lose your job at any time, or is that not as big a factor? Vikram Barhat: Well, that certainly is a factor, absolutely, Doug. The level of job security dictates a lot of things in your life, and investing in RRSPs versus – the decision to invest in RRSPs versus paying off a mortgage is no exception. It’s certainly a no-brainer that those with risky careers may want to prefer the certainty of a paid for home and focus on the RRSPs in the second half of life. And I basically just wanted to go back to the part where I said for young people paying down debt it’s a certain winner because their marginal tax rate is lower. Again, it goes back to the tax aspect, that because they’re starting out in their careers their income is low and the marginal tax rate is low, so it certainly makes more sense for them to pay down their debt rather than building their retirement savings, and particularly adding to an RRSP account. Doug Hoyes: And so the conclusion, then, is there really is no one size fits all answer. Vikram Barhat: Yeah, that’s right. It will absolutely depend on factors like your salary, your age, your personal financial condition; some of these factors are definitely going to be instrumental in you deciding whether one makes sense for you over the other. Doug Hoyes: But in general terms you kind of lean more towards, well, paying down debt is always a good idea. That’s kind of where you come down? Vikram Barhat: That’s my personal opinion, for sure. I mean, I think as a personal finance writer you tend to naturally lean towards a debt free life, but that’s not to say that it’s not a smart and prudent decision for the vast majority of Canadians, mid to low income Canadians. It’s very important for them to become debt free going into retirement. Preferably before going into retirement, but at least by the time they retire they should be debt free and not having to worry too much about taking care of their debt, as well as looking for retirement income streams. Doug Hoyes: Yeah, no, it makes perfect sense to me, I agree with being debt free as well. That’s why we call this show Debt Free in 30. I’m on the same page with you. Well, I really appreciate you joining me, Vikram, that was very good information. Thanks for being here. Vikram Barhat: Well, thanks for having me, Doug, it was good to be on the show. Doug Hoyes: Great, thanks very much. We’re going to come back to wrap it up in a minute. You’re listening to Debt Free in 30. Doug Hoyes: Welcome back. It’s time for the 30-second recap of what we discussed today. My guest today was Vikram Barhat, and we discussed how to decide whether to use extra funds to pay down debt or invest in an RRSP. Vikram gave three reasons why it may be better to pay down debt instead of investing. First, you greatly reduce the future interest you’ll pay. Second, RRSPs have an uncertain rate of return, whereas you know exactly what you save when you pay down your mortgage. And third, there’s the psychological benefit of paying down your mortgage and reducing stress. That’s the 30-second recap of what we discussed today. So what’s my take on Vikram’s message? Well, I agree. As he said, every case is different and the decision may change if you are young or old, or if you have a less stable or more stable job, but in most cases being debt free is a wise decision. That’s our show for today. This show is available on iTunes and other podcasting software, so you can listen on your computer or your smartphone and automatically receive our new show every week, for free. Full show notes are available on our website, including links to some of Vikram’s articles and details on how you can download the show, so please go to our website at hoyes.com, that’s h-o-y-e-s.com, for more information. Thanks for listening. Until next week, I’m Doug Hoyes, that was Debt Free in 30. Announcer: Thanks for listening. This was Debt Free in 30. Doug Hoyes: It’s time for the Let’s Get Started Segment here on Debt Free in 30, I’m Doug Hoyes and I’m joined by Ted Michalos – my Hoyes Michalos co-founder. We’ve been talking today about whether you should pay down debt or invest in an RRSP. So Ted, let me throw the example at that we’ve talked about earlier in the show: I just got a thousand dollar bonus and I’m trying to decide do I use it to pay down my mortgage, do I use it to pay down debt or should I put it in an RRSP, and obviously the decision is kind of easy to see. My mortgage interest rate let’s say is maybe three percent, if I put that money in an RRSP I’m going to get a tax break that will be pretty nice this year, depending on my marginal tax rate. So should I always just default to putting it into my RRSP, and let’s start by talking about the mortgage example and then we can talk about other debts. But how would you do that thinking? What would be your thought process? Ted Michalos: So if you’re asking me would I be better off to pay a thousand dollars down on my mortgage or put it in the RRSP, then I’m going to agree that probably putting it in the RRSP is going to make more sense at current interest rates. Assuming your rate of return in the RRSP is more than the three percent you get on the mortgage – and it will be, because of your tax refund – that’s probably the way to go. Now the qualifier I want to put on that is, I think RRSPs are a boondoggle for the average Canadian, they’re just a waste of time and money. Doug Hoyes: Cool, and why do you think that? Ted Michalos: Well, most Canadians are not contributing the maximum amount and I get it, because it costs a lot of money to live. So what happens, you don’t have a large amount in your RRSP when you retire anyway, and so when you convert that RRSP into a RRIF and you get the monthly payment, what it does is, it reduces the money you’re receiving from the government in your pensions. Your Canada Pension is based on what you earned while you were working; the Old Age Supplement is something that they top that up. Well, most of the people that we talk to, they haven’t got enough in their RRSP that it can make a significant difference, but what it does is, it draws down what they’re entitled to receive from the government. So instead of getting that OAS cheque, they get less of it or none at all, and so it just doesn’t make any sense, it’s not equitable, it’s not fair. Doug Hoyes: So you are a believer then in what? Ted Michalos: What you’ve got to do is figure out can you contribute enough to your RRSP that there’s a net win for you at the end of the day; are you going to get more than the OAS cheque that you would have been getting every month? Because that’s too complicated for most people to do, the default answer is, pay down your debt, and pay down your consumer debt first; the credit cards that are eleven, twelve, eighteen, twenty-nine percent. Your rate of return on paying down a twenty-nine percent credit card, is better than throwing a thousand bucks at your mortgage. Doug Hoyes: And there’s really no thought involved in that, that’s a no-brainer. Ted Michalos: There isn’t, and in fact your bonus cheque is a perfect example. Anytime you suddenly come into some kind of windfall of money – a thousand, two thousand bucks, whatever it is – pay it down against the credit cards and the lines of credit. The most expensive debt, throw it at that first. If you’re able to make larger monthly payments on a regular basis, you might decide to increase your mortgage payment, but my advice is still going to be, pay down the damn consumer debt; pay down the credit cards, pay down the lines of credit. The RRSP is one of those, if you can’t put enough in there, by the time you’re 65 or 69 or whenever you’re going to retire, then the RRSP was a bad idea in the first place. Doug Hoyes: So consumer debt is a very high interest and so unless I’m going to earn twenty-nine percent in my RRSP after tax, it’s a no-brainer. The mortgage though- are you on the fence on that, or is it still a simpler decision to say, you know what eliminate the risk, pay down the mortgage? Ted Michalos: At current mortgage rates, which I think TD’s best customer rate as of this week is 2.24%, it doesn’t make a lot of sense to pay that mortgage down if you’re carrying a credit card at twelve, fifteen, eighteen, twenty-nine percent; pay down the credit card first, because it’s costing you a lot more money. Doug Hoyes: And is that better psychologically as well for you? Ted Michalos: Yeah, I think you’ll feel better about it. And your house is still your biggest investment and over time you want to pay that down, but quite frankly, it’s costing you a lot of money to carry that credit card debt. Get rid of it and then cut up the cards, but I guess that’s another show. Doug Hoyes: Another show for another time. And what about something like a car loan? Is that the sort of thing that well, it’s probably locked in and fixed, there’s really no need to worry about that? Or if that’s my only debt, is that something I should look to attack as well? Ted Michalos: So if the comparison now is a car loan versus paying down a mortgage, the car loan has higher interest, I’d pay the car loan down first. If it’s a choice between mortgage, car loan, credit cards, pay down the credit cards first. Doug Hoyes: So the thought process then is based almost entirely on the interest rate? Ted Michalos: Yeah, what’s the most expensive thing to you, because what’s going to get you the best savings? Paying $1000 down on a credit card means you’re not paying twelve, fifteen, eighteen percent interest on that $1000 anymore. Paying $1000 off on the car loan at six percent, well, I mean, it saves you a third of what it saves you on the credit cards. Doug Hoyes: And you’ve got to also look to see whether there’s any kind of prepayment penalties or something on a car or a mortgage or whatever. Obviously with a credit card or a line of credit, you can pay that off, there are no issues with that and it’s done. Doug Hoyes: So it’s pretty simple. Okay, so the answer then is, in general terms, paying down debt is always a good idea. You eliminate the risks, start with the highest interest rate debts and work your way back from there. Great, thanks very much for being here, Ted. That was the Let’s Get Started segment here on Debt Free 30.